As I noted in the last post, the excitement of recent world events had wound down by the time Ursula entered UC Berkeley, but the drama – literally – for her was just beginning. 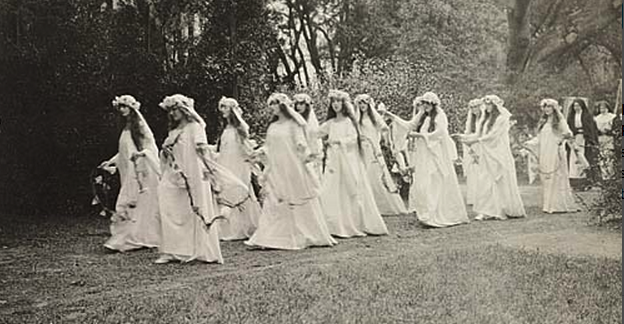 I learned from the activities listed in her senior yearbook entry that freshman Ursula was a member of the cast of the Partheneia, an original, open-air pageant or masque presented each spring term. 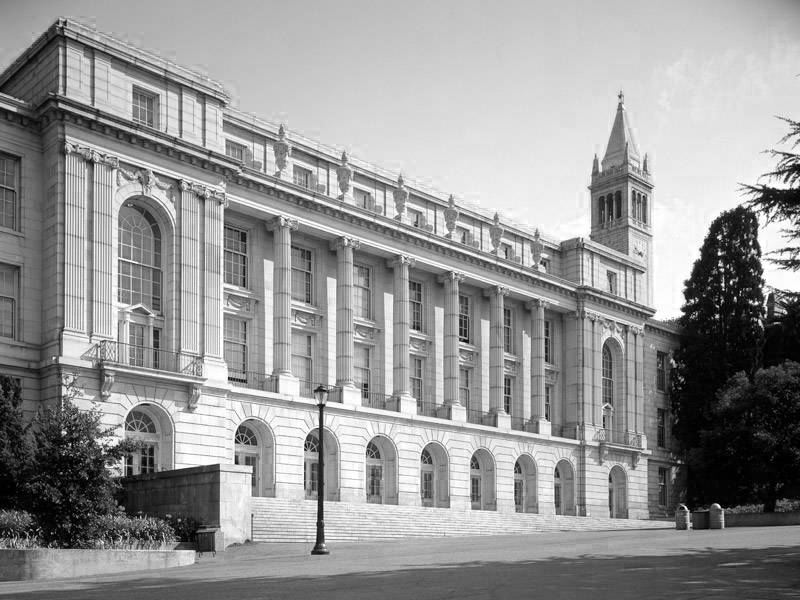 It was the first of many dramatic productions in which she would participate during her time at UC Berkeley. 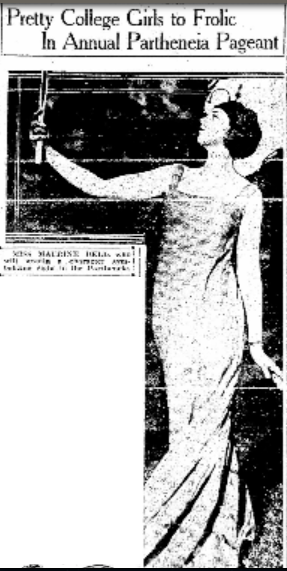 According to Who’s Who Among the Women of California, the Partheneia pageant was considered representative of the best talent among the students of the current year. 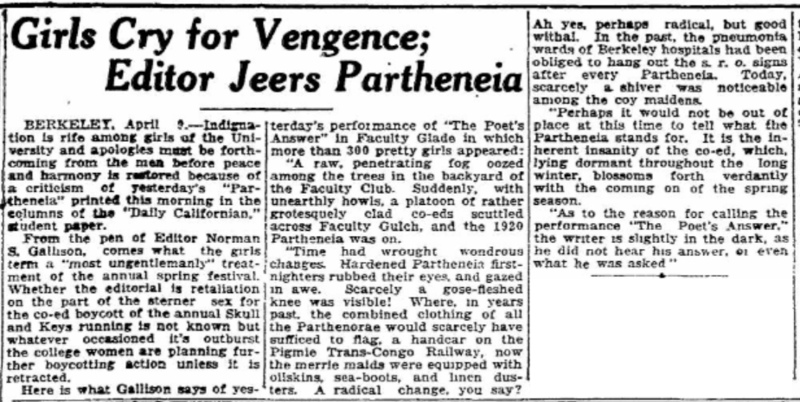 According to the University of California, the first Partheneia was presented on April 6, 1912. It was produced regularly until interest in pageantry declined generally and was discontinued in 1931. 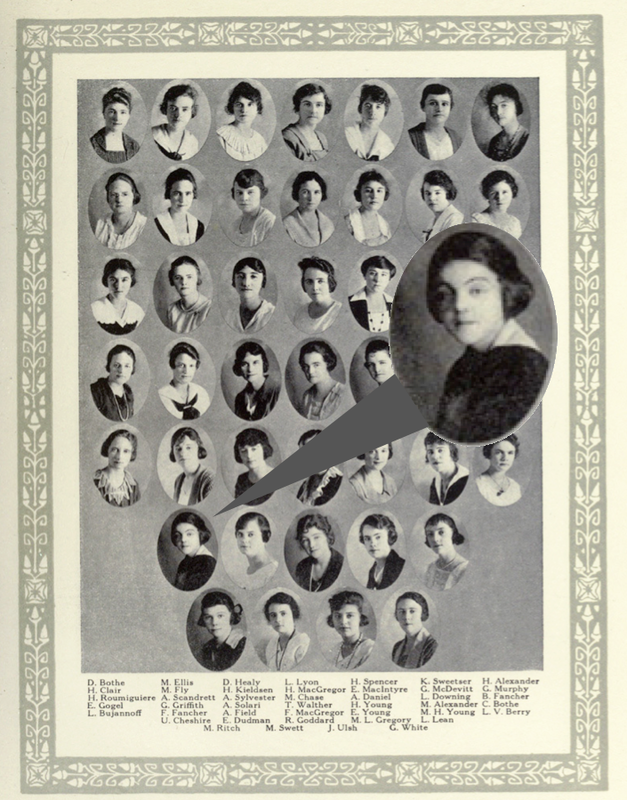 Upon paging through an online digital scan of UC Berkeley’s Blue and Gold yearbook covering the college year 1919-1920, I discovered that Ursula was one such rushee. There on page 523, row 6, I saw her face peering out from among more than 40 other young women. She had apparently passed muster (I’m not surprised), and was one of several freshman women accepted into Zeta Tau Alpha (ZTA). 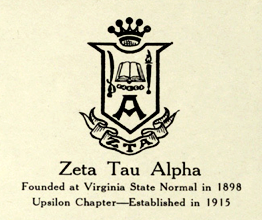 This national sorority was founded in 1898 at the Virginia State Female Normal School. 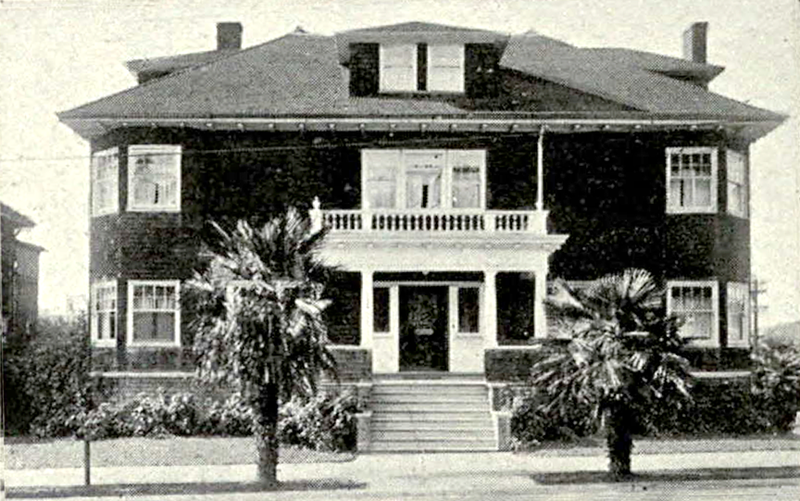 The UC Berkeley chapter’s handsome, two-story house was located just north of campus at 1700 Euclid Avenue; the cost of board and lodging would have been between $30 and $50 a month. 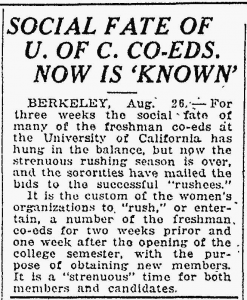 A 2012 article in the Daily Californian noted that the chapter had participated in such service projects as volunteering in all-campus Red Cross drives during World War I and “adopting” a French orphan, which entailed sending funds to an overseas organization for the child’s care. 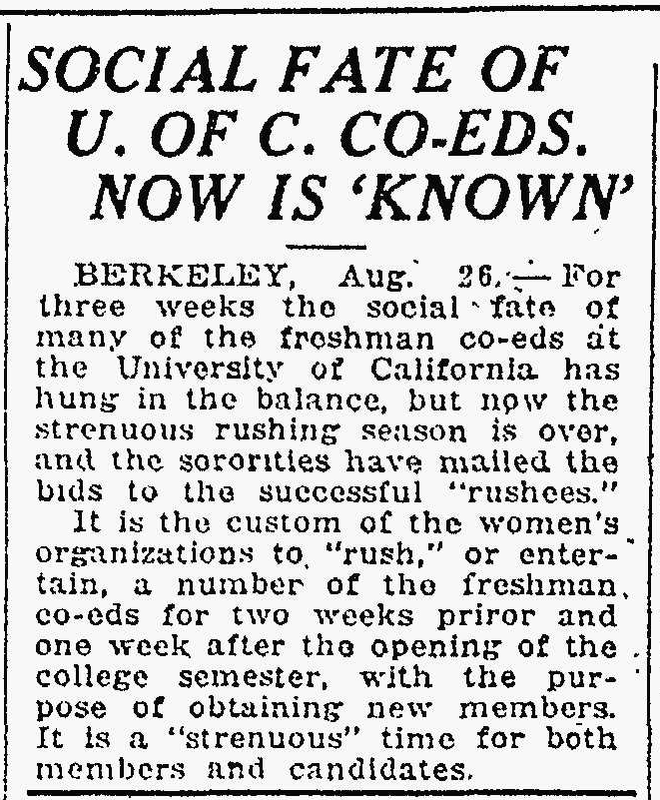 The ZTA charter states that the sorority’s purpose is “to intensify friendship, promote happiness among its members, and in every way to create such sentiments, to perform such deeds, and to mould such opinions as will conduce to the building up of a nobler and purer womanhood in the world.” I imagine and hope that, as a freshman entering a new and exciting world, Ursula found such friendship and happiness during her time with ZTA.